Our weather pattern is suddenly active and cold. 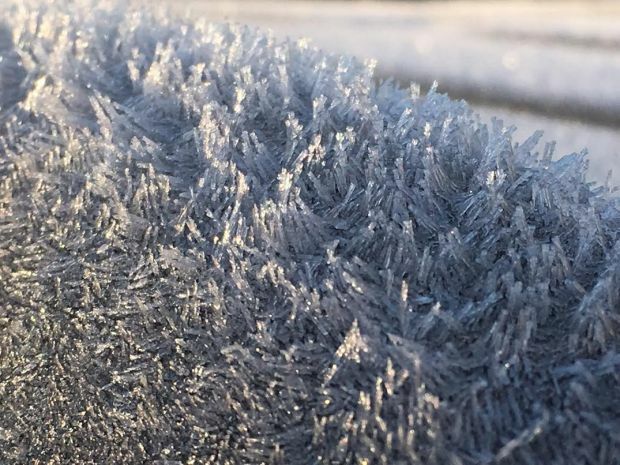 Our weather pattern is suddenly active and cold. Another low pressure system will be passing to the south of New England overnight bringing a mixture of inland snow and coastal rain by dawn tomorrow. Temperatures this afternoon are close to 40 degrees, cooling to the 20s and low 30s as precipitation arrives around and after midnight. 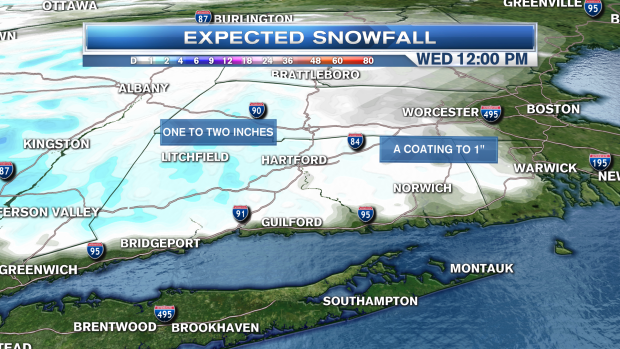 The snow rain line likely runs along Interstate 95 in southern Connecticut through central Rhode Island, then along Interstate 495 in eastern Massachusetts. 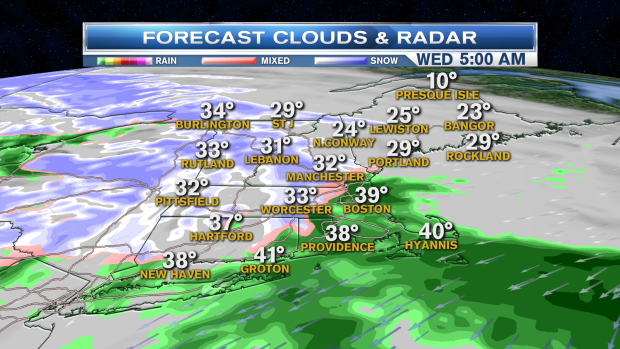 Hartford, Connecticut and Springfield, Massachusetts should be mostly snow, while Providence, Rhode Island and Boston are mostly rain. It is not a huge event, very similar to what happened on Monday morning. 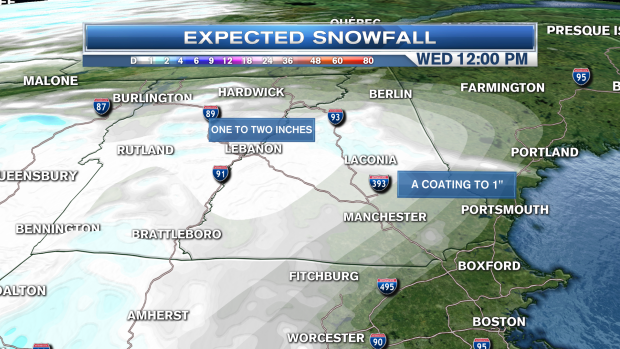 The Wednesday morning commute could be slippery from the Connecticut River Valley of southern New England through much of Vermont and New Hampshire. 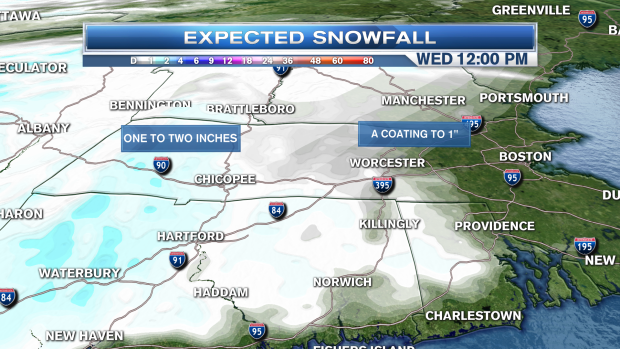 Snowfall amounts will be in the order of the coating to one or two inches. The afternoon should dry out, with a high temperature again near 40 degrees. 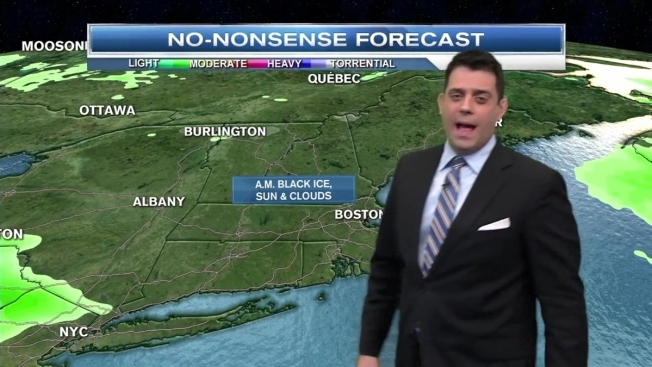 Patchy fog and black ice are likely again tomorrow night, with a low in the 10s and 20s. 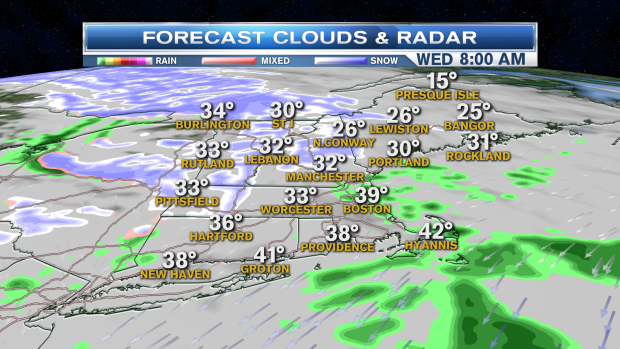 Another weather frontal brings a few rain and snow showers Thursday, with high temperatures again near 40 degrees. Colder air blows in Thursday night with a low temperature in the 10s north and 20s south. Friday and Saturday look like they're going to be windy and cold, with sunshine and clouds and high temperatures in the 30s south and 20s north. The next weather system races in during the day Sunday with clouds increasing, and a chance of rain or snow at night continuing into Monday. Next week looks active too, with chances for rain or snow about every other day.